but still quite a way to go….at least being quilt as you go, I know when it’s done, it will be finished! and so much more that you can see if you visit everyone via their links. But now for the winner of this wonderful prize…..
and with 55 of us, it’s anyone’s guess…..
Don’t you just love it!? Well done Theresa, and if you shoot me your address, I’ll get your prize off in the mail soon! Another hearty congratulations to Aussie, Jan-maree Ball, who was ordered an OAM today at the Australia Day ceremonies. As some of you may know, Jan-maree started Aussie Hero Quilts in 2012 and, since then, she and her quilting army have made more than 5000 quilts and 8000 laundry bags for deployed personnel. She said she decided to start making quilts for the troops after hearing about an Australian soldier injured in Afghanistan who was given an American quilt while in hospital in Germany. It spurred her on as, although she was grateful for the generosity of the Americans, she was ashamed that Aussies weren’t receiving any recognition from their own, and so Aussie Hero Quilts was born. It’s always a tough decision….start a new project or not…..and with the accumulation of new ones, there’s the old ones that tend to stack up – true? I know it is for me….so much so I have eigh*muffle*ty*muffle*plus*mufflemuffle* UFO’s in all stages of progress, KARTS (Kitted And Ready To Start) and numerous other acronised projects…..so overwhelming! But wait…….here’s a thought for Thursday…..
….a blog full of enthusiastic UFO-doers, encouraging each other as we work our way through our lot! But yes, I hear you……I can’t seem to get through the pile no matter how I try…..It grows, like the missing sock pile! Here’s my strategy for this year: Try numbering 12 projects. Pick the 12 you’d like to see finished most – try and make a mix of easy finishes, like sewing the binding on, and more lengthy ones. Then follow along with us…..we’ll keep you on track! I’ve talked about it some more HERE, so you can read more about it. 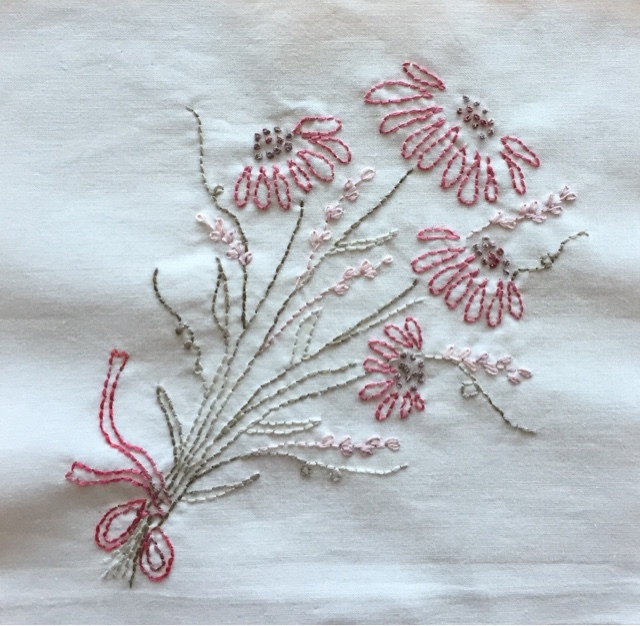 Sew It’s Finished is open to everyone in the same boat as us…..so don’t be shy, if you’re willing, send either Dawn or I an email, or leave us a comment on the Sew It’s FInished blog and we’ll join you up straight away! Don’t forget, tomorrow is our first FNSI for the year….sign ups are HERE so if you haven’t already joined in……link up and be prepared for a great night! Third Friday in the month (well, technically fourth, but who’s counting!) 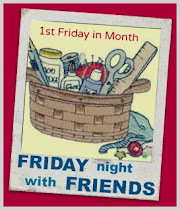 and that means it’s Friday Night Sew In (FNSI) sign-up time again! I have organised a sweet little prize this month….yes, my aim is to be far better organised this year…so far I’m on track! A cute miniature Embroidery Hoop Pack for you to make your own mini brooch….or even necklace I suppose…we’re all a creative bunch, aren’t we? 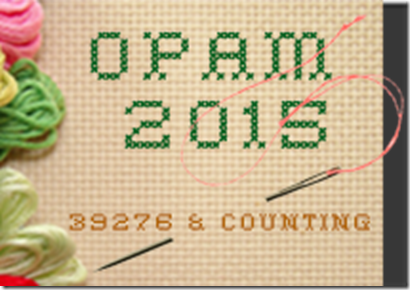 I have my project in mind…..trying to keep on track with my UFO Challenge this year, I’ll be working on my Nice People, Nice Things QAYG quilt……I’m halfway there but stalled, for whatever reason…now I’m determined to get it done. I’m using this challenge as my organiser so I know I’ll be working towards at LEAST 12 finishes this year, but I’ll be getting motivated by the girls over at Sew It’s Finished. If you’ve got UFO’s that are weighing heavily on your mind, why not join Dawn and I over at Sew It’s Finished.…drop us a line and we’ll add you to the blog. What will you be working on? Let me know and sign up below (I’m a poet and I didn’t know it!!! hee hee) so you don’t miss out. It’s always fun at our Friday Night Soirees. Don’t forget to blog and share……the more, the merrier!